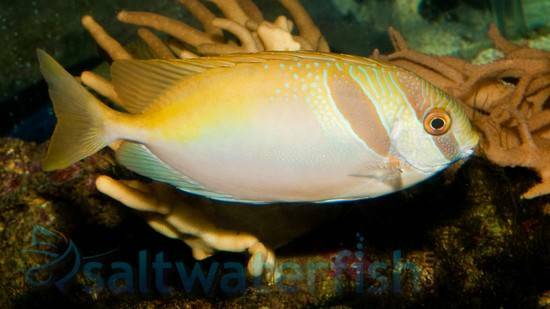 The Virgate Rabbitfish is commonly referred to as the Barhead Spinefoot, Barred Spinefoot, Double Barred Spinefoot, Double-barred Spinefoot, Doublebarred Spinefoot, Double-bar Rabbitfish, and Two Barred Rabbitfish. 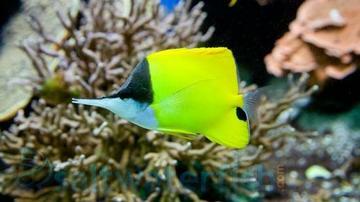 With its beautiful and vivid hue, the Virgate Rabbitfish makes a stunning addition to any tank. Although it is a peaceful fish, it features stout and venomous spines. The Virgate Rabbitfish grows up to 10 inches in the wild, but is imported at about 2 inches. It should not be housed with other species of rabbitfish. Small juvenile Virgate Rabbitfish can be kept in groups if the aquarium is big enough, while larger juveniles and adults should be kept alone or in pairs. The Virgate Rabbitfish can be combined with most types of fish, because of the venomous spines even aggressive species will fear and leave the peaceful rabbitfish alone. If not fed well, the Virgate Rabbitfish may found nipping over the soft corals and hard corals with large polyps, hence may consider reef safe but with caution. 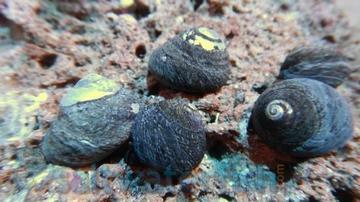 It is an herbivores species and chiefly feeds on macro algae, bubble algae and natural algae. 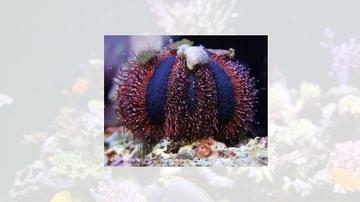 The aquarium should contain many live rocks that encourage the growth of natural algae and allows the fish to carry out its natural grazing behavior. 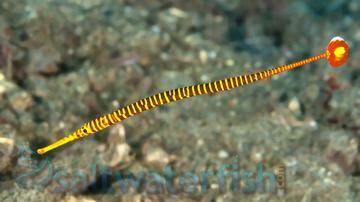 Be extra careful while handling the Virgate Rabbitfish, because the venomous spines can inflict a painful sting. It thrives well in a temperature range of 72-78 degrees Fahrenheit and pH of 8.1-8.4. I love this fish. It is peaceful and changes colors when needed to protect itself. It seems to be coral safe and feeds on algae. It will eat brine when it is feeding time, but would rather graze on the simulated reef. It is not a tandgs best friend and the tang may chase hime for a couple days until it realizes it is there to stay. Other than that it is an awesome fish.